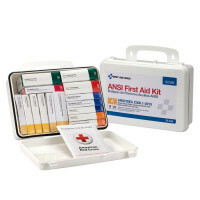 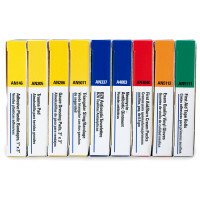 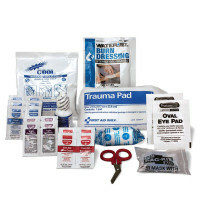 This 215-piece, 36-unit compliant first aid kit holds required items in a sturdy metal case. 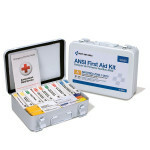 The case features a gasket and an easy-to-carry handle, yet is also wall mountable for quick access in an emergency. 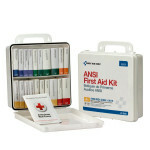 The First Aid Only 36 Unit First Aid Kit - Metal Case.